The number of people choosing to travel by traditional golf carts and newer “street legal” versions just keeps growing. In addition to beautiful communities like Sun City Center and the Villages, where golf carts number in the tens of thousands, many people all over our region are joining the golf cart movement. To better serve our growing number of golf cart owner clients, as well as all of those contemplating getting a golf cart, we are launching a new series that will provide much needed information on a variety of golf cart related topics. Given that we have many readers who are thinking about getting a golf cart for short trips close to home, but who don’t know much, if anything, about the applicable state and local requirements, we are going to start at the beginning and go forward from there. Our starting point will be to educate our readers about the differences between the traditional golf cart intended to be used on the golf course and the new generation of “street legal” versions. We’ll be talking about the physical differences, who may drive them, and where and when they may be driven. For example, even though traditional golf carts and “street legal” versions (also called “low speed vehicles”) are operated side by side and share the streets within Sun City Center, it may surprise people to hear that a drivers’ license is NOT required for drivers of traditional golf carts and traditional golf cart owners are NOT required to register their golf carts or carry any insurance whatsoever. 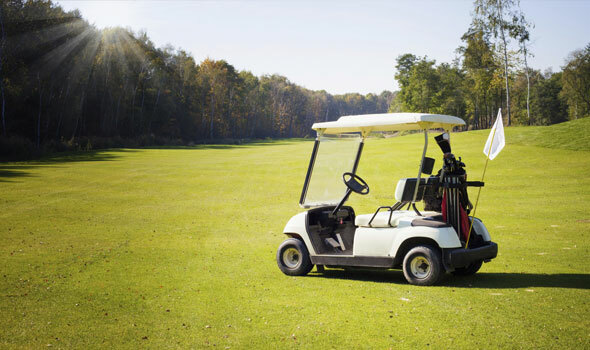 In addition to the confusion that this can cause owners and drivers, the different treatment of traditional golf carts and street legal versions creates a multitude of legal and liability concerns. We’ll be covering a number of those legal issues including registration requirements and insurance and liability concerns in detail in our upcoming posts. We’ll also be providing information about golf cart accidents and accident prevention that all current and prospective golf cart owners need to know. The Bradenton injury attorneys at Heintz & Becker represent victims of all types of vehicular accidents, including golf cart accidents in the Sun City Center and Villages communities and elsewhere throughout the State of Florida. If you or a member of your family has been hurt in a golf cart accident, you need to find a firm that is qualified to handle your case. Call us to arrange for a free, no-obligation consultation today. Boaters, when is the last time you checked your first aid kit? If you can’t recall, then it’s time to make sure that your first aid kit is waterproof and fully stocked with fresh supplies. You want to be prepared to deal with common medical issues ranging from sunburn and insect bites, headaches and nausea, and cuts and fishhook injuries. Feeling ill or getting hurt on the water is bad enough. Not having anything on hand to treat the problem can turn a manageable issue into a more serious situation. Keep everything in a waterproof case so your supplies won’t get ruined. Buy a First Aid Handbook and write down emergency contact numbers on the inside cover. Keep an assortment of general purpose over-the-counter medications: Ibuprofen (Advil), Acetaminophen (Tylenol), Aspirin, Antihistamine Tablets (Benadryl), Glucose Tablets, and remedies to prevent or treat motion sickness, indigestion, diarrhea, or heartburn. 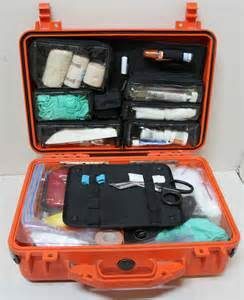 Have the basics for treating minor injuries: tweezers, scissors, butterfly closures, sterile gauze pads/wound dressings, first aid tape, antiseptic towelettes, antibiotic ointment, adhesive bandages, rolled bandages and clips, prepackaged eye wash solution and eye drops, cotton swabs, and chemical ice packs. Make sure to have needle-nose pliers and side-cutters for cutting and extracting fish-hooks. Buy special prepackaged kits for controlling bleeding, closing wounds and treating burns. Don’t forget anti-itch lotion for insect bites, sunburn, and other minor skin irritations. Complete your kit with bottled water, hand sanitizer, barrier gloves, wet wipes and clean towels. Remember to check your kit each year at the start of boating season to restock supplies and replace medications that are past their expiration date. In addition to putting your marine first aid kit together, consider taking first-aid and CPR training courses to better prepare yourself to handle emergency situations. The attorneys at Heintz & Becker urge all boaters to be responsible and be prepared. We hope you find this information helpful and keep coming back for more boating safety tips. By Steve Heintz of Heintz & Becker on Wednesday, January 13, 2016. Is the U.S. Food and Drug Administration (FDA) making the right decisions when it comes to the issue of painkillers and children, or has it become a pawn of the pharmaceutical industry? Some are saying that a recent FDA decision is flawed and may put our children at risk of becoming the next generation of drug addicts. In August, the FDA issued a shocking approval of the use of the narcotic painkiller OxyContin for children as young as 11 in certain situations. Just as shocking was who the FDA got the information it relied on in making its decision from: Purdue Pharma of Stamford, Conn., the pharmaceutical company that manufactures the drug and who stands to make big money from the FDA approval. That same company admitted to falsely playing down the addictive nature OxyContin just a few years earlier. 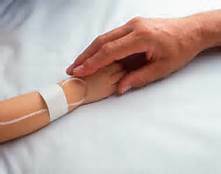 Unfortunately, the ongoing arguments and accusations are of no help to parents who may be faced with agonizing medical care decisions for their children. Heintz & Becker provides legal representation for families of children who have suffered extreme pain after being injured in traffic crashes or other accidents. Our attorneys know that the parents of these children often suffer just as much as they try to comfort their children and find the right doctors who can safely treat their children’s pain. If your child is suffering from extreme pain due to someone else’s negligence, please contact one of our attorneys for a free, no-obligation evaluation of your claim for financial compensation on behalf of your child. According to “Broadway” Joe Namath, football players in his generation didn’t know about the dangers of “getting their bell rung” – the word “concussion” was not part of the side-line vocabulary. They just took the smelling salts that the team trainers always had on hand and played on. Then, a few years ago, after witnessing a number of his friends suffer from concussion-related issues, Joe Namath made a brave decision. He went to the Jupiter Medical Center in Jupiter, Florida, and asked the doctors there to look at his brain. He underwent a number of cognitive exams and brain scans which revealed that a number of cells and an area of his brain had ceased functioning. The doctors at Jupiter Medical Center gave Joe a series of hyperbaric oxygen treatments to try to improve the blood flow in Joe’s brain. He had 120 such treatments between August 2012 and March 2013, after which tests on his brain showed that blood flow had been restored to the non-functioning cells and his cognitive tests were improved. He also exercises and works to keep mentally active. Joe’s positive results have led to the creation of the Joe Namath Neurological Research Center in Jupiter, Fla., where the doctors there are now conducting an FDA-approved clinical trial of a hyperbaric oxygen treatment program like the one Joe had to study the effectiveness of hyperbaric oxygen therapy in treating football players, military veterans, car crash survivors and others suffering from traumatic brain injuries. The attorneys at Heintz & Becker represent victims of accidents suffering from traumatic brain injuries. If you or a member of your family is a traumatic brain injury victim and needs help, your time to take action is limited. Please take the first step to seek recovery from the people responsible for your accident and call us today.